Many employees these days dream about becoming entrepreneurs. With many startups booming recently it has become a very competitive sector. Very few businesses are flourishing because of the idea but most of the businesses are successful because of the execution. No matter how good or bad your idea is, with the right execution every business can be successful. 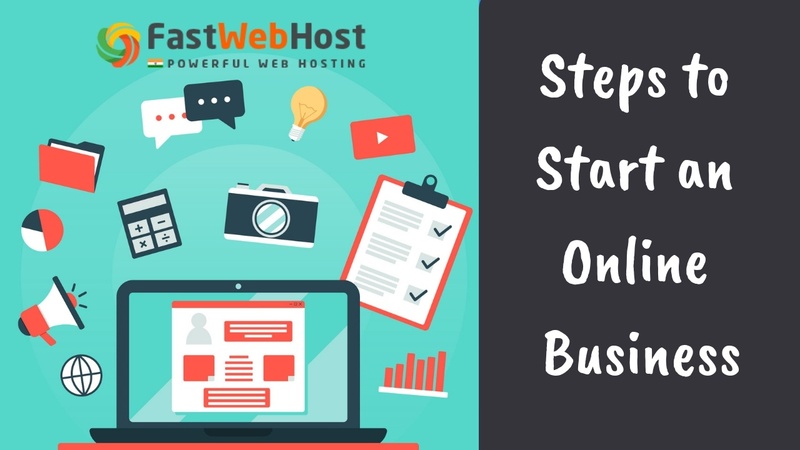 If you are looking to start a business online and running short of ideas how to start an online business, here are few important steps how to start an online business. Look for market first rather than the product or service.To boost your chances of success, start with the market analysis, look for the requirement of people. See what the people need and then plan your business idea accordingly. Visit online and do keyword research to find out what a lot of people are searching, then build a product or service for the existing market and do it better than your competition. Best way to give shape to your idea is to formulate a business plan. Build a rigid framework that lists out all the possibilities that your idea represents. A good business plan should also be adaptable and can be changed according to the changing business environment. Subscription (here users pay upfront and subscribe to your service or product and also payment here is recurring and can be charged periodically). Advertising ( here you place advertising banners on your website and rent them out highest bidders). Affiliate (here you pay fixed price to those who refer customers to your website). Having a diverse team of people who can contribute individually helps you deal with all kinds of problems. Developing your product or changing it completely according to the desire of customers or market helps your business to thrive. Build a very good customer service, maintain good relations with your customers be available to them. The happier the customers are the longer they stay. Build a detailed Sales Process. Sales process is the steps you follow in a sale from lead to the customer. Monitor these steps regularly. Once you’ve sorted out your market, product and selling process, next most important thing you need to do is to build a website for your business. A website is very important aspect of your online business. A website is used to gain advantage in your field and also helps in improving your business image. It also helps you increase sales, enhance your brand and improve customer relationships. Decide what kind of website you want is it just informative site or an e-commerce site.an informative website can be easily made and is very basic whereas a sales site has a lot of effort to be put in. an e-commerce website requires a shopping cart, the product search engine and an electronic data interchange (EDI) system that enable online customers to receive real time inventory and order status. Make sure you choose a reliable web hosting services provider to host your website online. FastWebHost is one such hosting service that provides you with high quality and affordable hosting services in India. Our cheap web hosting services are suitable for websites of all kinds of businesses. Do not go directly for a public launch. It is always advisable to launch among few dedicated users and look for the loopholes of your business. You can also take feedback and suggestions from these users and improve your service accordingly. Digital marketing is an immediate way to reach potential customers. Do not expect people to bustle to your website immediately after its launch. Instead use the potential of email marketing to attract customers. Anyone who visits your site and opts in to your list is a very effective lead. And there's no better tool than email for following up with those leads. Launch your business on social media as well. Also use content writing to increase traffic to your website. SEO( search engine optimization) is certain rules that a website owner follows to optimize their site for search engines and improve their rankings. An SEO also makes your website user friendly and faster. It is really important because having a presence in the top positions for the keywords the user is searching can help you gain trust of the user . SEO can put you ahead of competition and helps in smooth running of your website. Pay -per-click advertising is an effective way to gain traffic for newly launched website. PPC ads show up immediately and also helps you to test different keywords. PPC advertising costs more but you can reach targeted audience for your products faster. Google, Facebook, Instagram, YouTube and Twitter are best platforms to try your PPC Ads. Now that you know how to start an online business, it's time to get going. If you're just starting an online business, stick to this sequence and try not to miss any of the above mentioned steps. Don't forget to reward your loyal customers. Keep in mind do not restrict yourself to just one of these ideas. Having a good online business idea is of course the key but make sure you execute your idea perfectly to succeed. What’s your advice? Feel free to share your ideas how to start an online business.